New at the renowned Eastman School of Music, this intensive 2-week study encompasses Dalcroze Level 1 of a three-tiered program toward full Dalcroze certification. 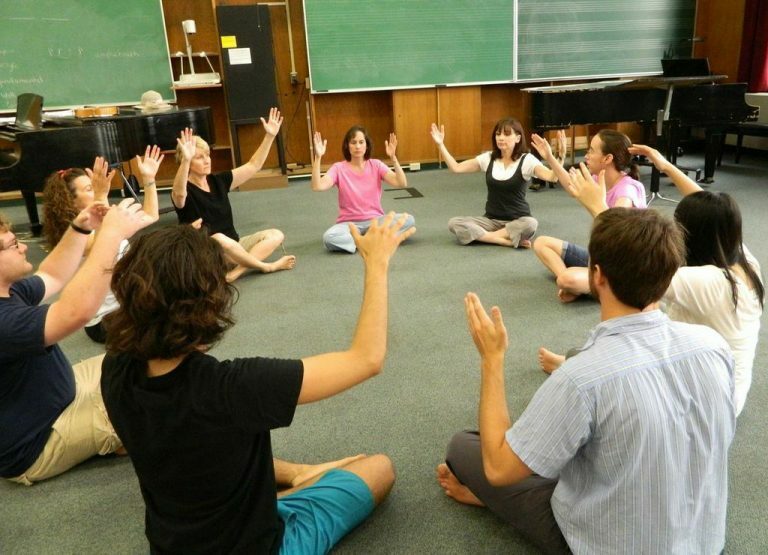 Authorized by the Dalcroze Society of America, the Introductory Credential is geared to music teachers and performers, and is open to collegiate and adult students. Jaques-Dalcroze Education is valuable for teachers of any instrument, and can be applied to students of all ages and levels. The Dalcroze approach provides an experiential way of understanding music through movement. By exploring music’s structural and aesthetic elements in a physical way, students develop a stronger mind-body connection, improve musical precision, and attain more freedom of expression. No previous Dalcroze experience is required; basic piano proficiency will be helpful. Students will receive Level 1 – The Introductory Credential – certification from the Dalcroze Society of America upon completion of the two-week course. Monday-Friday, 9:00 a.m.- 4:00 p.m.